Are you looking for new ways to leverage Dunkin' Donuts as a corporate partner? Are you looking for creative ways to leverage signage giveaways and other premium items? 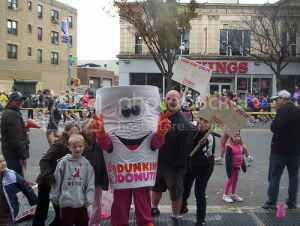 Massivemedia recently executed a terrific guerrilla marketing campaign on behalf of Dunkin' Donuts at a recent major endurance event. 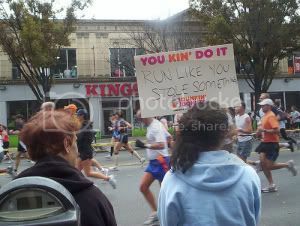 Massivemedia featured a sign station where fans could place customized messages on "You Kin' Do It" signs and had a Dunkin' Donuts on-site to engage with consumers.